Doctors prescribed opiates frequently at the turn of the twentieth century, especially to women for their essentially painful physiological conditions (e.g. menstruation, childbirth). Harper Lee’s Miss Dubose in To Kill A Mockingbird was a quintessential “medical” addict, an elderly woman addicted to morphine at the hands of her physician. Famous addicts like William S. Burroughs recount cycling between doctors in pursuit of prescriptions in the 1940s and 1950s. His advice to others in his novel Junky: “You need a good bedside manner with doctors or you will get nowhere.” Throughout the twentieth century, drug addicts were increasingly defined as “medical” or “nonmedical” users. Medical users had a “legitimate” reason: their addiction, as in the case of Miss Dubose, was perhaps a harm that was a necessary fact of treatment. Those who were deemed “nonmedical” drug users were increasingly criminalized, stigmatized and incarcerated. 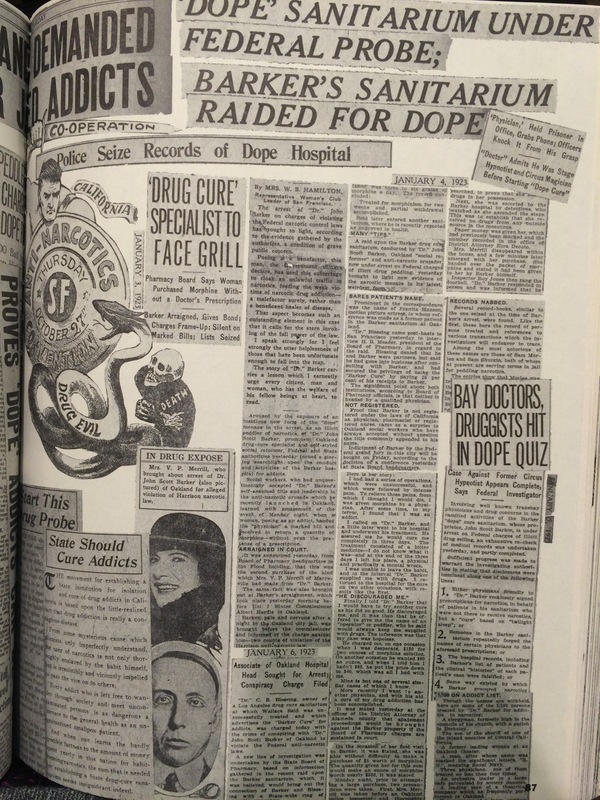 Since court decisions between 1915 and 1922 made it difficult for doctors to prescribe opiates for addicts as maintenance medications, medical users increasingly turned to the street. But physicians continued to supply a steady stream of opiates for “diversion,” causing the Federal Bureau of Narcotics and the Drug Enforcement Administration to pursue and arrest “dope doctors” and pharmacists who would prescribe opiates to patients in a manner regulators deemed indiscriminate. Doctors teetered on a fine line between “respectability and infamy,” wrote historian David Musto. There are certainly doctors who, like Li and Mirilishvili, just want to make a buck. They make a mockery of the doctor-patient relationship that so many of us view as the core of our professional identities. They nakedly expose the fact that healthcare is a business, and they trade cash for prescriptions. As a profession, we are expected to police ourselves and each other– but we can’t. Physicians are actively debating our complicity in this issue. Anna Lembke recently published a controversial piece about why doctors continue to prescribe opioids to patients they know have addiction in the New England Journal of Medicine. Lembke’s article gets to the heart of how difficult it is to truly assess pain, and it suggests that doctors are one important, integral part of a dysfunctional, fragmented healthcare system. Physicians teeter cautiously between under- and over-treatment of pain. We struggle with patients’ cultural mentality of the quick-fix—a point of view that aligns with the pharmaceutical sector’s goals of selling pills and profiting from social distress (for more on the topic, see Barry Meier’s muckraking book on Oxycontin and Purdue Pharmaceuticals). Prescription drug abuse takes place within a healthcare system that underfunds addiction and mental health treatment and funnels people with drug use to prisons and jails. Increasingly, clinics and states are coming up with rules and regulations such as pain contracts; warning individuals about the downside of opioids (i.e., addiction); and counseling patients that opioids are only one part of comprehensive treatment for painful conditions, and should not seen as a permanent or long-term solution. There are new best practices and state Prescription Drug Monitoring Programs. But they are underutilized in practice. The reality of the situation is that I have fifteen minutes to see you, and you are in pain. Doctors have been burdened with the responsibility of meting out pills that are medicines on the one hand, and poisons on the other. On the one hand, we want to effectively treat pain (the ethical principle of beneficence), and on the other hand, we want to be stalwarts of public health and do no harm (the ethical principle of nonmaleficence). With opioids, physicians’ interpretations of the ethics vary widely: Treat the pain! Never give oxycodone or benzos! Believe the patient! The patient is faking! The historical complexity and contemporary contradictions surrounding opioid prescribing leaves me wondering: will I be a dope doctor when I grow up? Great post, Kim. This is an excellent contemporary summary of a long running historical problem. Your sentence: “Doctors have been burdened with the responsibility of meting out pills that are medicines on the one hand, and poisons on the other” has played out over and over again since at least the mid-nineteenth century. So too have attempts at legal remedies aimed at relieving this burden. 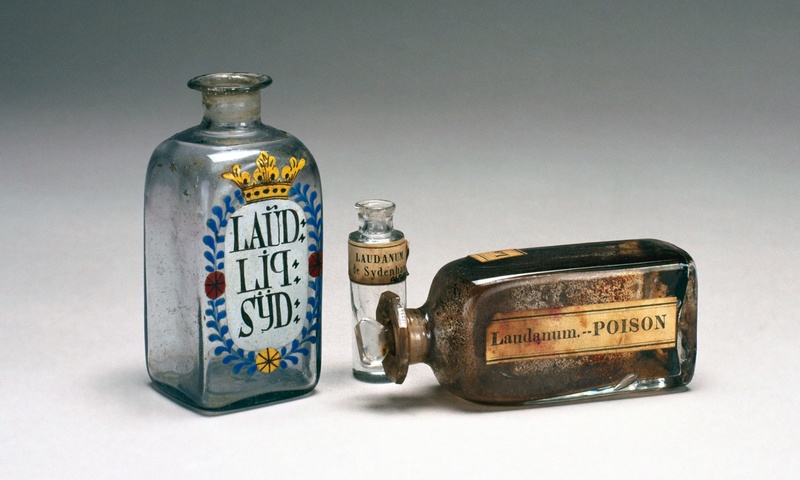 The shift from a nineteenth century understanding of drugs as potential medicines AND poisons to a perception of good drugs (medicines) vs. evil drugs (narcotics/poisons) was largely the result. Perhaps we are witnessing a transition back to the nineteenth century view.